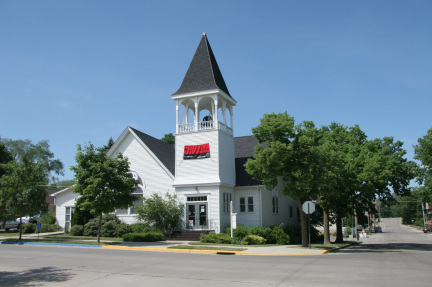 Welcome to the website for the Granite Falls United Church of Christ (Congregational), located in Granite Falls, Minnesota. Our church has been active in the city of Granite Falls for over 140 years and we look forward to continuing our presence in the community. Church Service: Sunday at 9 a.m.
Our address is 210 9th Avenue, Granite Falls, MN 56241 – near the intersection of 9th Avenue and Prentice Street. Find out other ways to connect with us by visiting the Contact Us page.